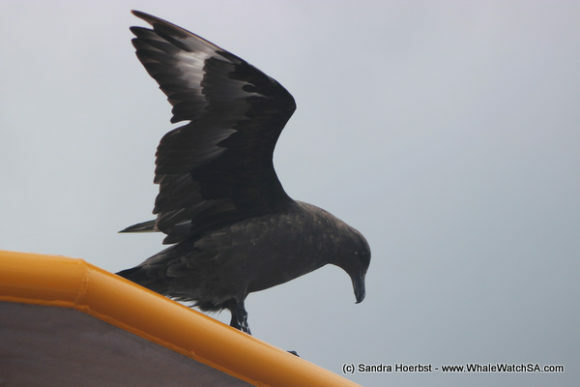 After only 5 minutes at sea we stumbled across a couple of…. The weather is still a little moody here in Klienbaai but, luckily, with just one trip we managed to evade the rain out at sea. 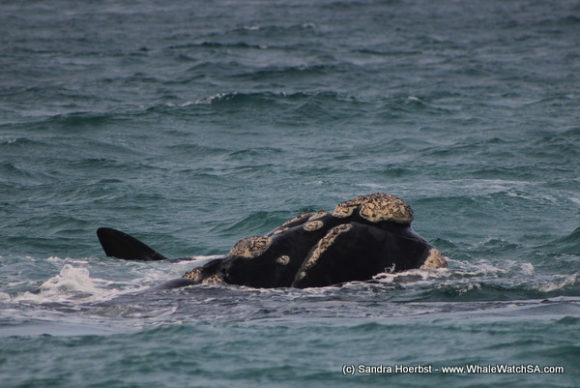 With a light easterly blowing, we made our way along the coastline, finding our first Southern Right Whales after only a few minutes out of the harbour. The whales were moving in really shallow water, just in front of the quiet suburb of Franskraal. 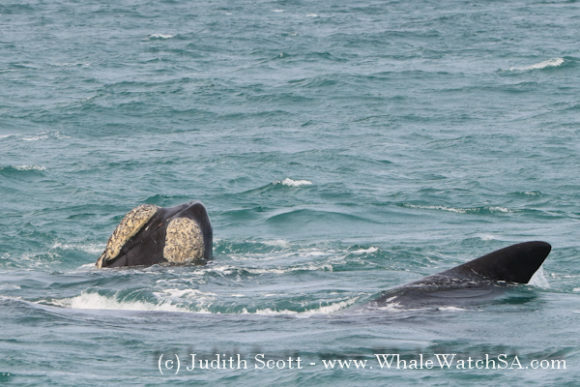 These two whales were really relaxed, travelling at a snail’s pace and coming up every so often to wow us with that iconic V-shaped blow. Whilst here, we also spotted an Oceanic Sunfish in the water. This Mola Mola was pretty large but also on the shy side, staying a little deeper in between the kelp. We had quite a bit of fun trying to distinguish between the two, and this really brought home just how great a hiding space the kelp is for predators and prey a like. 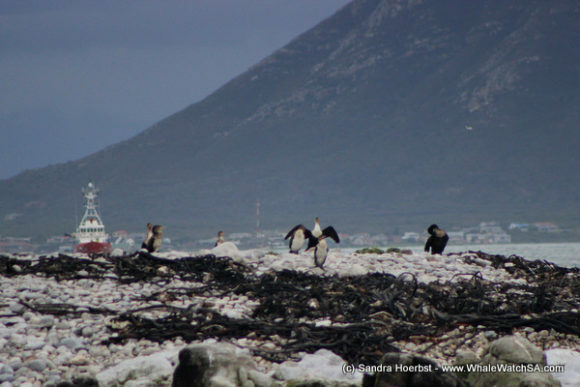 The Cape Cormorants were also out and about with hundreds of birds taking to the sky in search of some fish. There was also no shortage of Kelp Gulls, who were in luck with a choice of stealing a Cape Cormorants catch or nibbling on some whale skin for brunch. 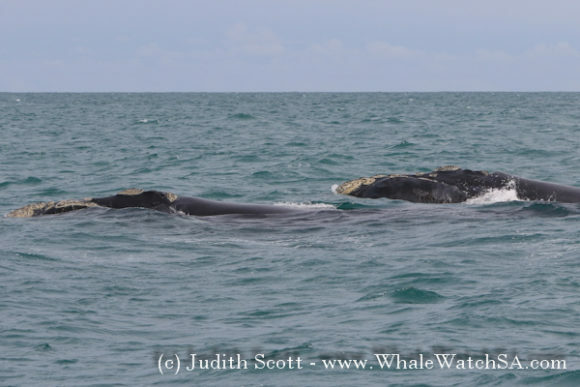 Whilst stopped here, we spotted some more whale action a bit further into the bay with one Southern Right giving us a breach or two. 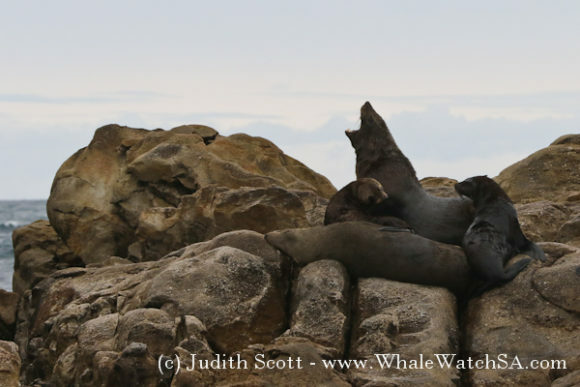 Unfortunately, upon arriving in the area the animal stopped breaching but, we did get to catch up with a gorgeous mating group. 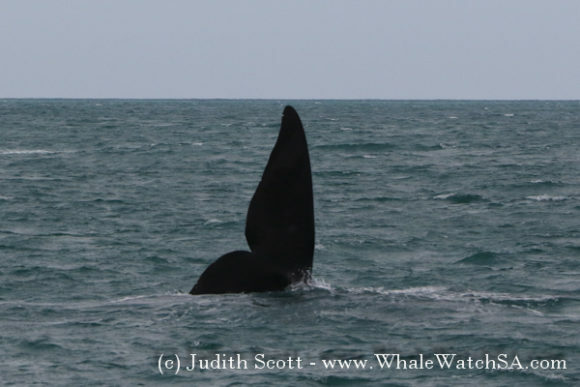 We had 3 whales around and got to watch them frolic in the swell, with the occasional tail fluke popping out of the water to our absolute delight. Once we’d gotten our whale fix of the day, we cruised towards Slashfin to try and spot a White Shark. 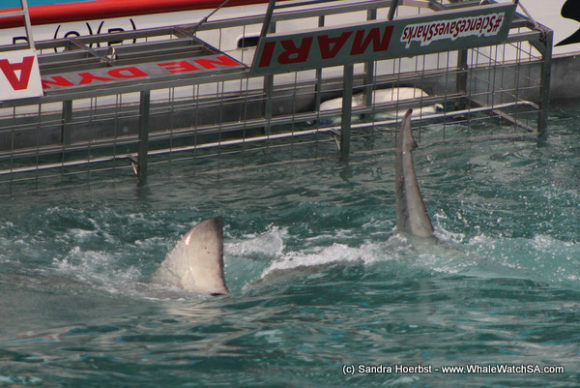 We got more than we bargained for with several passes from a few different White Sharks. In this area, we’re not known for having the largest White Sharks in the world but we are known for having some pretty active smaller animals and we were lucky enough to have one of these little guys around today. Dyer Island was our next stop, where we tried to point out some African Penguins however, this was quite tricky today with very few birds on the island. Fortunately, we managed to find a juvenile penguin on our way back into the harbour but not before we stopped by the seals. 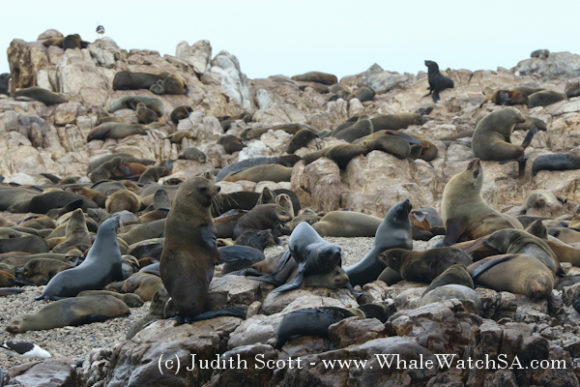 With over 1 million Cape Fur Seals in Southern Africa, these guys are pretty abundant but awesome to see none the less. The males reach a staggering weight of up to 350kg and are easily to identify due to their thick necks which appear to have a bit of a mane to them.